According to Luu Trung Thai, General Director of Military Bank, the turnover of his bank in the first quarter is estimated at 3.5-3.6 trillion VND (154.2-158.6 million USD), while the minimum pre-tax profit is at some 1.6 trillion VND, up 44 percent year-on-year. With the rise, Thai believed that it is feasible for his bank to meet the 6.8 trillion VND profit target set for this year, up 47 percent against last year. VIB Chairman Dang Khac Vy said his bank’s cost-income ratio reached 52 percent and pre-tax profit exceeded 500 billion VND in the first quarter, three times higher than the same period last year. By the end of the first quarter, VIB met 25 percent of its total pre-tax profit target of 2 trillion VND set for 2018. With a monthly profit of some 350 billion VND, HDBank estimated its profit to reach nearly 1.05 trillion VND in the first quarter, three times higher than the same period in 2017. With a profit target of 3.9 trillion VND for 2018, the bank has already met 28 percent of the annual plan. Orient Commercial Joint Stock Bank’s profit by the end of March also tripled that of the same period last year to reach more than 600 billion VND. 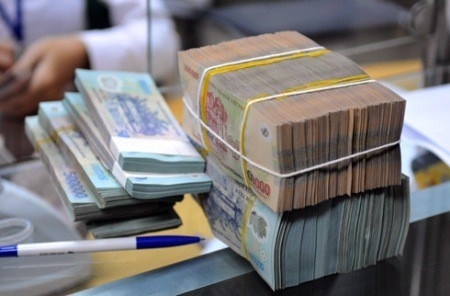 The bank plans to earn a profit of 2 trillion VND this year. LienVietPostBank achieved 28 percent of the annual profit target as it posted a pre-tax profit of more than 500 billion VND by the end of the first quarter. Experts attributed the positive business performance of banks to the credit growth right at the beginning of the year. 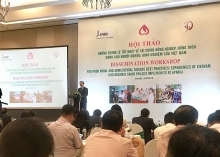 According to the National Financial Supervisory Commission, outstanding loans in the banking system, as of March-end, were estimated to have risen by 3.5 percent against December last year, of which loans in Vietnamese dong increased by 3.3 percent and accounted for 91.9 percent of total outstanding loans. Besides the high credit growth, another factor that has helped the banks prosper in the first quarter is the positive bad debt settlement as banks have not had to spend as much on risk provisioning as in previous years. Assessing the factors affecting the banking sector in 2018, analysts of Saigon Securities Incorporation (SSI) said credit would continue to be improved, in which the opportunity of consumer credit to prosper was highly valued. According to SSI, the average cost of capital in 2018 will be reduced because of the Government’s support policies and significant improvement in the balance of payments in 2017 and 2018. Specifically, the refinancing, rediscount, overnight and OMO (open market operations) interest rates were cut by 0.25 percentage points per year over the past year. The sale of stake in State-owned enterprises in 2018 will continue to attract a large amount of foreign capital, leading to the need to pump a large amount of local currency into the system, SSI said. Considering the above factors, SSI predicts that profits in 14 listed banks will surge at an average of 32.9 percent in 2018.